You can find our wide range of courses for the coming months HERE. If you are interested in organizing courses in your private or corporate settings, we will tailor-make a suitable program for you. If you are interested in information about future courses and course topics, please subscribe to our free e-mail newsletter. So you are always up to date with the latest courses and news in cooking and culinary art. Depending on your knowledge in carving and your interest you can choose from all kind of different course topics. We offer a wide variety of topics not found easily anywhere. Courses are custom made for beginners and advanced carvers alike. 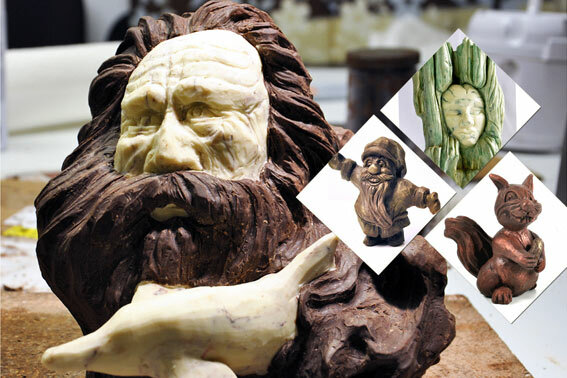 Both instructors have been awarded gold medals internationally for their carving skills and work as jurors at some of the biggest international competitions. We will accompany you from the beginner to the professional carver. Modeling margarine sculptures is a good foundation for working in other media. 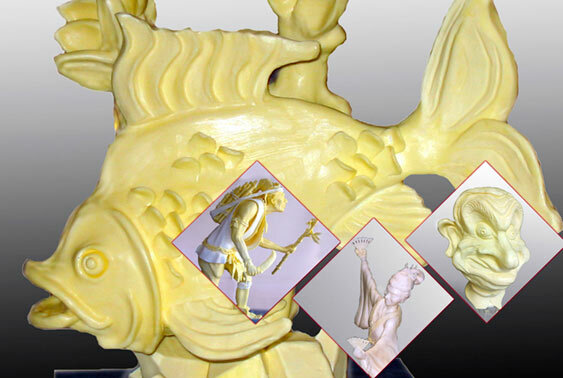 In this course emphasis is placed on stable scaffold structure, fineness in execution, correct proportions and movement in the sculpture. Various techniques are used. Courses for beginners and advanced. In the latter case the human figure is the central theme. Hand carved figures made of 100% chocolate. If desired, these can be sprayed or painted with airbrush. The finished sculptures belong to the respective participant and can be taken home with them. The Thai cuisine is a spicy, light kitchen, which is currently trendy. Some of the most popular dishes are prepared. There are also explanations of the Thai cuisine in general, as well as the most important local ingredients. Thai dishes are very fast and easy to produce without much effort. Also aromatic, but less spicy than the Thai cuisine. The Vietnamese cuisine is a very light, aromatic and healthy cuisine full of interesting combinations. A variety of fresh aromatic herbs are used, so each dish is a treat for the palate and nose. Sushi is popular all over the world. We show you how easy it is to make good maki, nigiri & temaki sushi. The right sushi rice preparation is important. If you do this, you can be creative when filling and taking the sushi. With AlpenZushi we have discovered a new type of sushi. In short: AlpenZushi shows in a refined, seasonally varied manner what nature has to offer in the Alpine region. Whether for vegans, vegetarians or meat & fish lovers, here are the right sushi for every taste. When preparing our AlpenZushi, we follow traditional preparation methods for Makis, Nigiris, Oshi and Temaki. Fingerfood for receptions or even private parties. We prepare cold and warm fingerfood. Iin this course we use partly traditional recipes from Southeast Asia, partly Euro-Asian peculiarities. Some of these dishes can also be served very well as starters. If you want to be creative in cooking, try fusion food: a multicultural cuisine, where the products and flavors of the Pacific region are creatively combined with the western tradition. Cooking techniques from Southeast Asia, California and Australia combine rice, fish, poultry, fresh vegetables and herbs. The result is an irresistible taste surprise. An ideal hobby for anyone who likes to be creative. 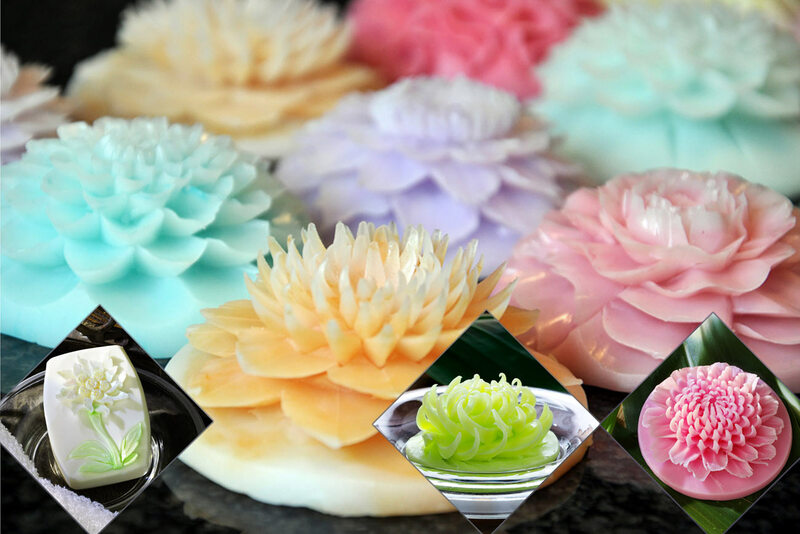 Hand carved soaps make a beautiful decoration, but also a nice gift. 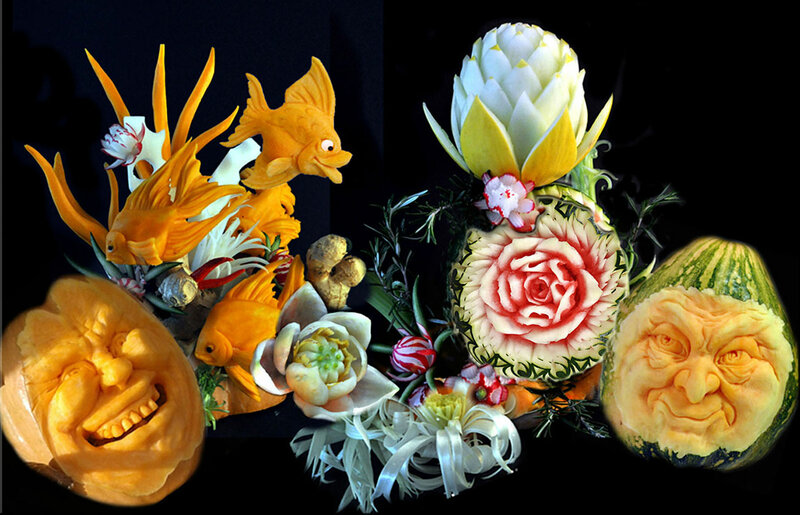 Carved are different kind flowers and ornaments.